Mitchell Williams has enjoyed substantial growth in its 60-year history. The beginnings of our firm are strongly rooted in the values, ambitions and tradition of excellence of firm founder H. Maurice Mitchell — a business leader who was one of Arkansas’ most distinguished attorneys and philanthropists. Maurice Mitchell earned his juris doctorate from the law school at Washington and Lee University in 1948. Mitchell’s budding legal career was soon interrupted when, while studying for the bar, he was informed that his previously-filed application with the Alcohol and Tobacco Tax Unit of the Internal Revenue Service had been accepted. Mitchell accepted the job as an agent with the IRS. After chasing down bootleggers in the Ozark Mountains for only a short period of time, Mitchell left his position with the IRS to return to his passion for practicing law. Mitchell was appointed to the position of assistant attorney for the Arkansas Revenue Department by then Governor Sid McMath (1949-51). He was admitted to the state bar in 1949 and entered the private practice of law in Little Rock in 1951. On April 1, 1951, Mitchell opened his own office in the Pyramid Building in downtown Little Rock — a place where most lawyers who were actively engaged in the full-time practice of law were located. In 1952, Little Rock visionary Rodney Parham and his son invited Mitchell to share offices with them, which allowed him the luxury of a part-time secretary. After being elected to the Chancery Court, Parham then arranged for a more experienced lawyer to share an office with his son, but, at the same time, arranged for Mitchell to share offices with local attorney Henry Spitzberg. In 1953, Mitchell’s longtime friend Steele Hays graduated from George Washington University Law School and was working in the office of his father, Congressman Brooks Hays. Mitchell urged Hays to come to Little Rock and share offices with him. Hays accepted his offer and joined Spitzberg, Mitchell and well-known utility attorney, P. A. Lasley. After a few months of sharing offices, Mitchell suggested the formation of a firm. On January 1, 1954, the firm was created under the name Lasley, Spitzberg, Mitchell & Hays. Lasley left the firm in 1956 to become associated with another utilities lawyer. 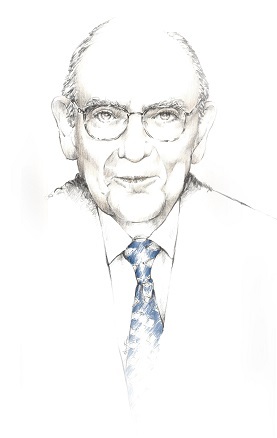 Spitzberg ceased active practice in 1973 after suffering a stroke two years earlier, but continued to be of counsel to the firm until his death in 1990. Hays left the firm in 1979 to become a judge on the Arkansas Court of Appeals, and was elected to the Arkansas Supreme Court in 1980 where he served with distinction for 14 years. In 1979, Allan Gates, former law clerk to U.S. Court of Appeals Eighth Circuit Chief Judge Pat Mehaffy and U.S. Supreme Court Associate Justice Harry A. Blackmun, left an environmental law practice in Washington, D.C. to join Mitchell. In 1980, the firm of Williams, Selig & Sayre merged with Mitchell’s firm. This merger brought four additional lawyers, Richard A. Williams, John S. Selig (former Arkansas securities commissioner), Eugene G. Sayre, and Jean D. Stockburger, which added a thriving tax, corporate, and securities practice to the firm. In 1983, former Arkansas Insurance Commissioner William H.L. Woodyard, III joined the firm, and the Insurance Regulatory Practice Group was created. In 1991, the firm officially changed its name to Mitchell, Williams, Selig, Gates & Woodyard, P.L.L.C. as it is today. In 1992, Ernie Lawrence of Bentonville, Arkansas, merged his practice with the firm, creating an office in Rogers, Arkansas. In 1997, the merger of Ivester & Camp brought three additional lawyers, Hermann Ivester, Robbie Camp and Stan D. Smith. In 1998, the firm moved its offices to the TCBY Tower, now known as the Simmons Bank Tower, and occupied the 17th, 18th and 19th floors where it is headquartered today. The Northwest Arkansas office, still located in Rogers, has grown to 16 attorneys. In 2007, the firm announced its first expansion into Texas with the opening of an office in Austin. The office saw further growth in July 2008, when it joined with the long-time insurance regulatory and litigation firm of Long, Burner, Parks & DeLargy, PC. The strategic move allowed the firm to enhance our service offerings for the hundreds of insurers, healthcare organizations, corporations, financial institutions, trade associations, legislators, and state regulators we represent. In 2013, the firm expanded further in Arkansas with the opening of the Jonesboro office. Today, the firm employs more than 90 attorneys from offices in Arkansas and Texas.